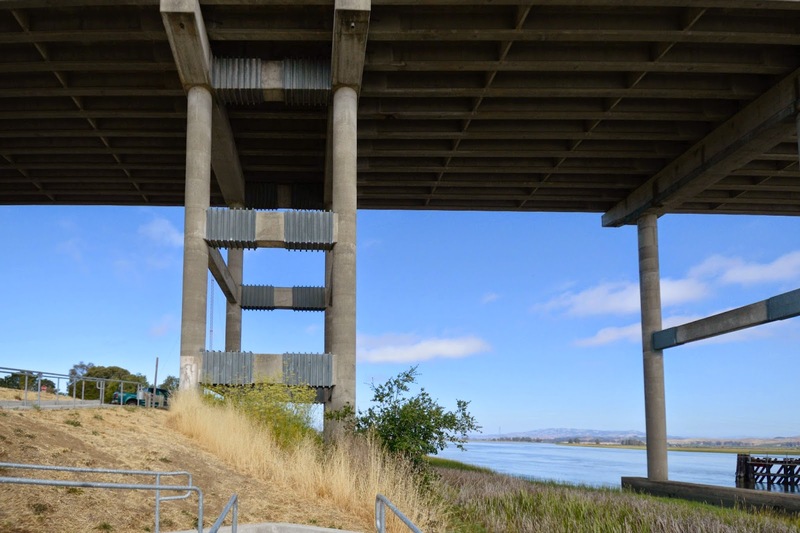 Just north of the NWP Railroad Bridge is the State Route 37 Bridge (27 0013) across the Petaluma River. River crossings can be quite lively during earthquakes because they are so tall and flexible over the river. As the tall piers move back and forth the shorter piers can become overstressed and collapse. Note how today's bridge is composed of flexible two column piers with an occasional stiff four column pier to resist the large displacements. These stiff piers were retrofitted with steel casings on the longitudinal struts. Instead of retrofitting the columns to form plastic hinges the lateral members were designed to be ductile instead. The steel casings ensure that the struts can form reliable plastic hinges as the piers move back and forth. 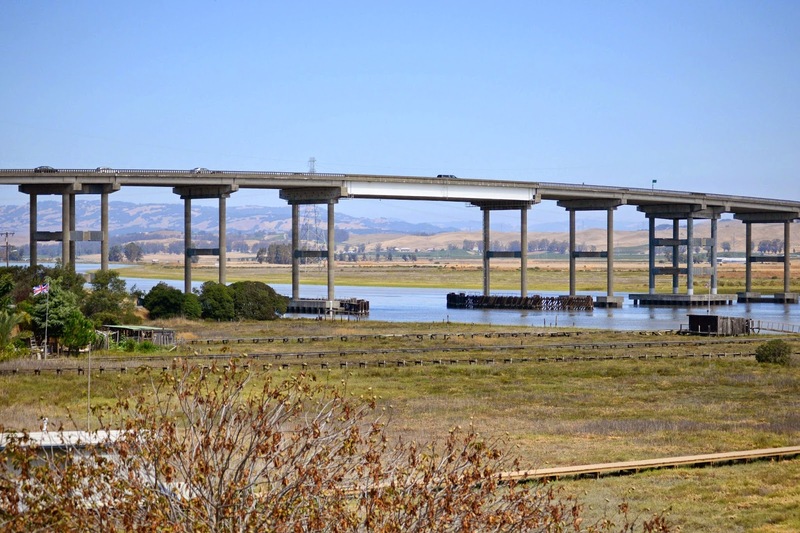 Sonoma County: California Bridges: State Route 37 Bridge across the Petaluma River by Mark Yashinsky is licensed under a Creative Commons Attribution-NonCommercial-NoDerivatives 4.0 International License.